Gremln, the company dedicated to making it easier for banks and other financial institutions to benefit from social media, has secured a new investment of half a million dollars from Cultivation Capital. The new funding takes Gremln’s total capital to nearly $2 million. Tim Stern, General Partner at Cultivation Capital, emphasized the “safety first” aspect of Gremln’s technology, saying there is a “large need” for software that will help industries control what is shared via social media. Stern will be joining Gremln’s board of directors as part of the investment. Gremln specializes in social media management software that helps institutions use platforms like Facebook, Twitter, and LinkedIn without having to worry about regulatory and compliance issues. The technology includes compliance and organizational tools, analytics, features like bulk post upload, scheduling, and message assigning, and is available as a white label solution. Gremln has won awards and recognition from PC World, CIO Magazine, and the Innovators Cup. This summer, Gremln raised $100,000 as a participant in the SixThirty Accelerator program. Among the interesting notes in the coverage of the investment was the suggestion from Gremln CEO Ryan Bell that the company looking into other potential revenue sources, such as working with financial broker dealers. Bizjournals also reports that Gremln has grown approximately 500% since early 2013. Gremln last demoed on the Finovate stage in September as part of FinovateFall 2014. See the company present its new mobile platform here. Continuing in our second session of the morning, here is GREMLN, showcasing the latest enhancements to its social media management platform for the financial services industry. BillGuard expands internationally, now available in Australia, New Zealand and the UK. 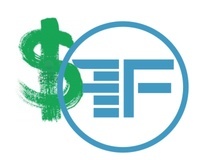 Simple speeds up money transfers: 1 business day for xfers from Simple and 3 business days for xfers into Simple. Credit Sesame attracts 1 million + users to enroll in its free ID theft protection service. Tradeshift CEO interviewed for Fox Business News. American Banker talks about Check in its feature on the role of mobile bill pay in helping banks retain customers. Fiserv announces that its CUnify account processing platform will be deployed by United Credit Union. The National Bank (TNB) in Palestine signs deal with Temenos to replace current platform with T24. Check announces billpay partnership with Direct Energy. Gremln raises $100,000 as participant in SixThirty Accelerator Program.